Spencer Street is one of the busiest thoroughfares in the Melbourne CBD, and one of only three streets that crosses the Yarra River to link the north and south banks of the city; sitting adjacent to one of Australia’s busiest train stations, Southern Cross Station, a short walk away from the multipurpose Marvel Stadium, and part of a booming metropolis. 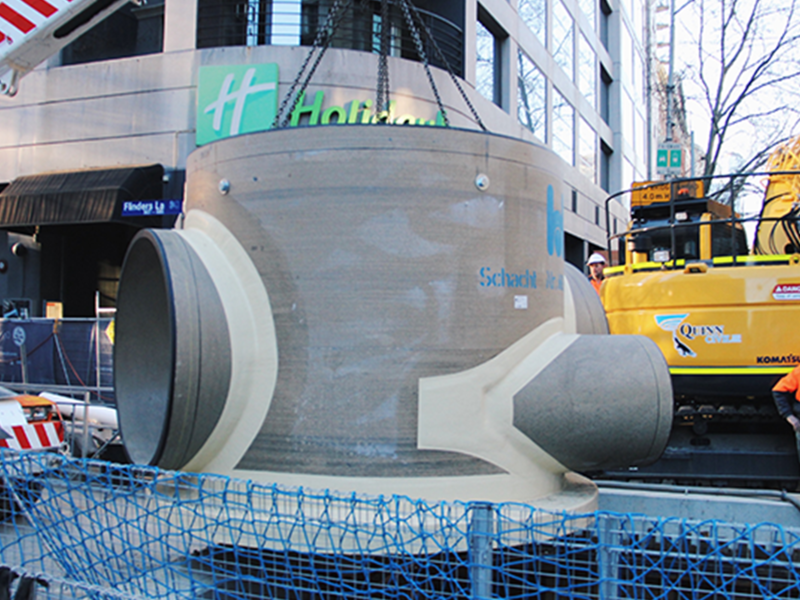 The current sewer in Spencer Street is approximately 122 years old and required essential upgrades to support growth and deliver reliable service to those living and working in the city. 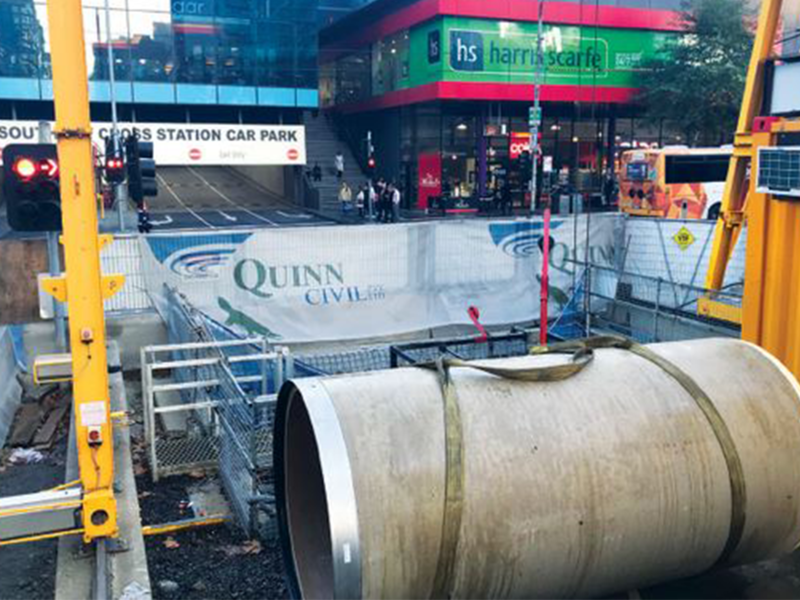 Quinn Civil, on behalf of City West Water, was awarded the design and construct contract for the two-year project, with micro-tunneling experts, Bothar Boring using a 9m long, 1.5m diameter boring machine for the work. 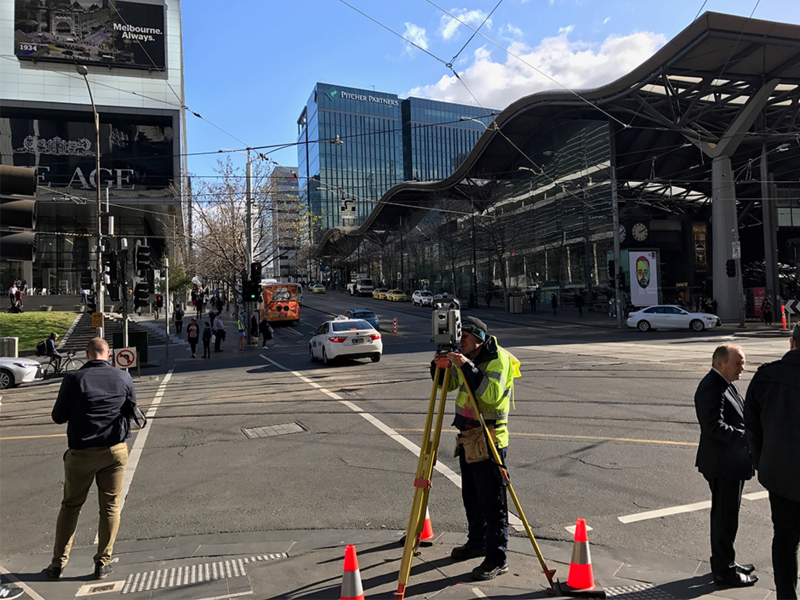 Working with client KBR, Taylors have been engaged to complete ongoing Survey work and provide Underground Services Location expertise on the project. Crews have worked over weekends and overnight for more than a year. 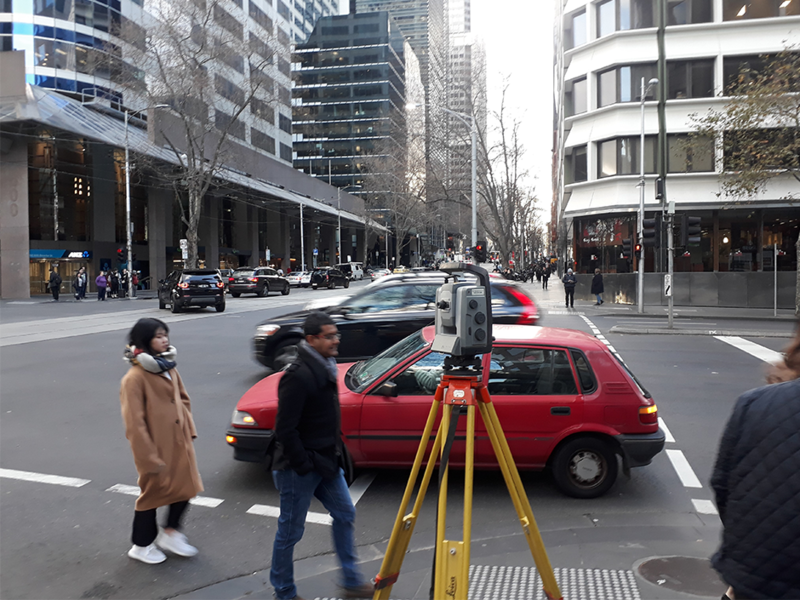 The alignment of the new pipe travels along Spencer Street, Little Lonsdale Street, and Flinders Lane, is 700m long and buried 11m underground, and now carries 25 times the capacity of the existing sewer pipe. 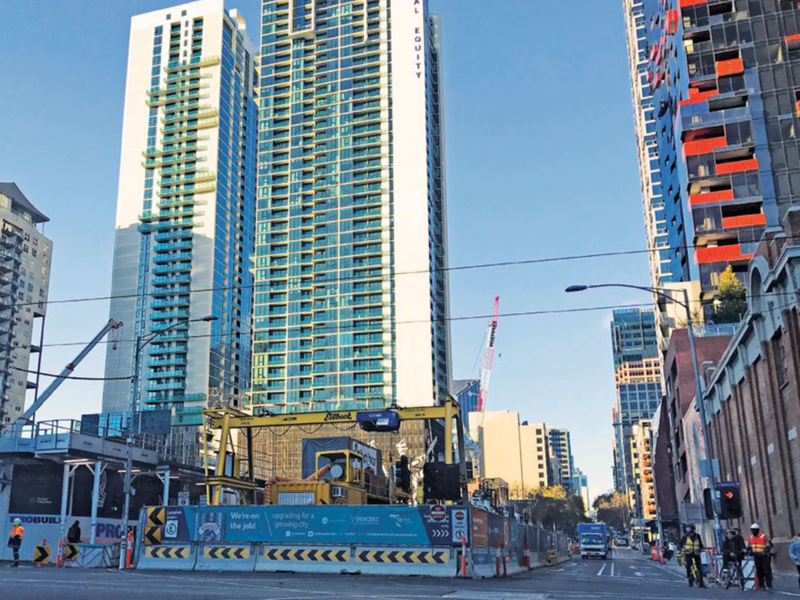 A 2015 study forecast approximately 60,000 new developments in the CBD over 35 years, including 14,000 apartments in the Spencer Street area. Finished ahead of schedule, safely, and within budget, this project is the first stage of four to prepare for anticipated population growth within the next 10 years when 10,000 residents will begin using the network.